Estate: Ayunta is a small family estate located on the northern slopes of Mount Etna in Sicily. The family manually farms 2.8 hectares of small parcels of old vines using organic and natural methods. They strive to craft wines from indigenous grapes that express the unique personality of Mount Etna. Winemaking: Open air fermentation with wild yeasts, aged in big cherry and oak barrels (5-10 hectoliters) for 14 months. Navigabile translates to “able to be shipped by sail” and was used by the local wine merchants of the 18th century to name their top wines. 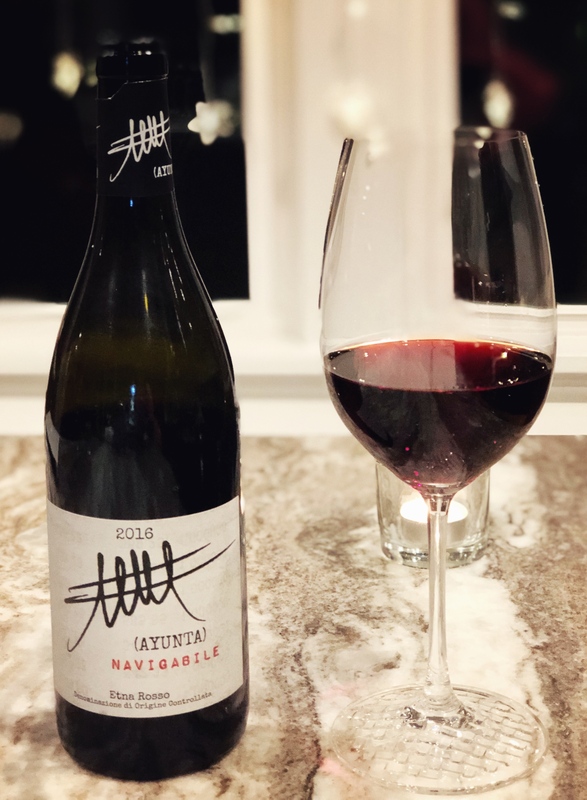 A ‘Navigabile’ wine “was meant to be a wine capable to travel across the sea, up the other side of the world, maintaining all the quality and fragrance”. Tasting Notes: Transparent garnet in colour with aromas of spice, smoky earth, raspberry, strawberry, cherry and candied violet. Low-key orange, clove, strawberry, cranberry and cherry are wrapped in peppery spice and accented by lively acidity and firm tannins. Smoky earth minerality, red fruit and spice linger on the lengthy, dry finish. Engaging and versatile, tasty on its own or with a wide variety of dishes.